Increased global travel has changed the way we think about disease distribution. Diseases once considered of localised interest can be disseminated more readily than ever due to the increased speed of international travel. This is your perfect visual guide to diagnosing these diseases. The sixth edition of this internationally acclaimed atlas is the most comprehensive ever, with extensively revised text and more than 1,200 stunning images. Please note: Product availability uncertain, please check with our customer service team. 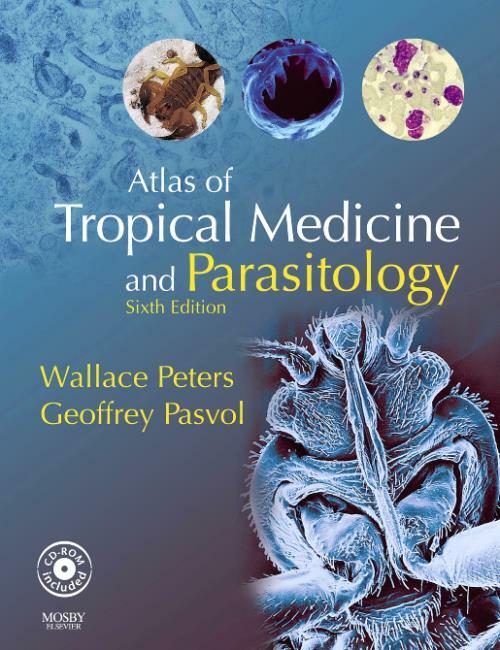 Peters, Wallace Emeritus Professor of Medical Protozoology, London School of Hygiene and Tropical Medicine; Director, Tropical Parasitic Diseases Unit, Northwick Park Institute for Medical Research, London, UK.